Girl this bralet is essential for the vacay season. Featuring a white material, crochet trim and thin tie straps. 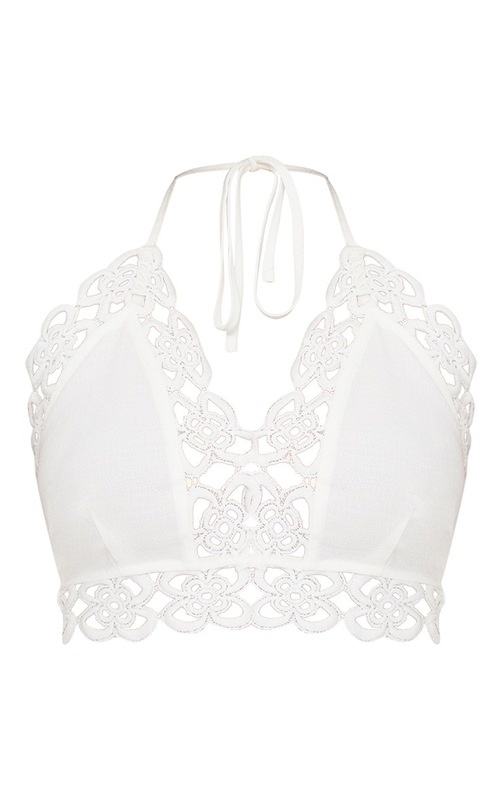 Team this bralet with the matching shorts for that dreamy summer vibe co-ord.